Home / Shop / Christmas Homewares / Nutcrackers / Kings Nutcracker 30cm 4 Asst. Kings Nutcracker 30cm 4 Asst. Embrace Christmas traditions with these distinctive and timeless Kings Nutcrackers. Each measures around 10cm wide by 30cm in height, plus a 2cm wooden base. Each one has its own flavour and personality, choose your personal favourite! For example, check out the swordsman in green, or the drummer with the tall black hat. The guard with golden baton and the trumpeter wearing snazzy striped pants round out this selection of fine wooden nutcrackers. These are perfect when you want to give an appropriate gift to a friend or neighbour, or add them to your own collection for a holiday accent that you will pull out and use year after year. 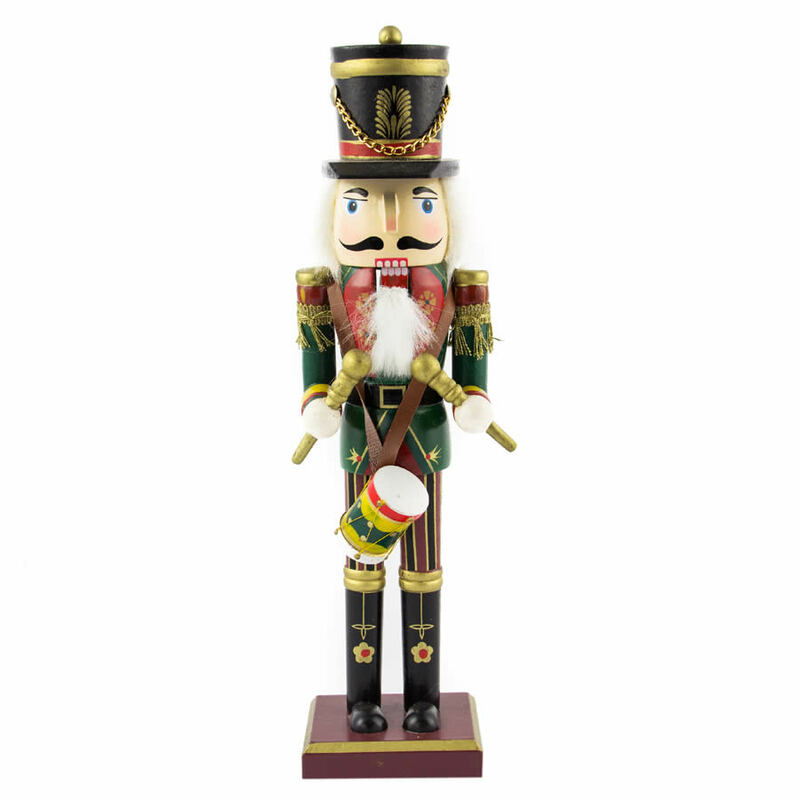 These quality nutcrackers represent past holiday trends and traditions in a fun, new way!